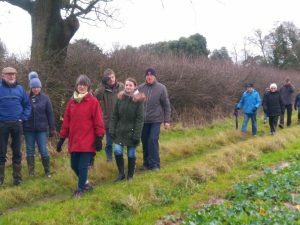 The Planning Committee of the Parish Council will meet at 6.30pm on Thursday 18th April to consider the proposal to place a Broads National Park sign beneath the “Somerleyton” sign near Carpenters’ Shop Farm. See the poster here. The minutes of the Parish Council meeting held held on Thursday 7th March may be viewed on the Minutes and Reports page. 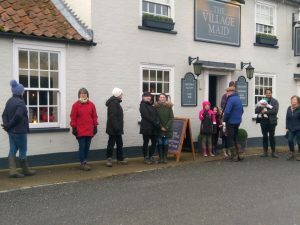 We set off from the Somerleyton Hall car park to walk to Lound and back, partaking of soup and a roll at the Village Maid half-way. The outreach service is now available in the Forge Garage office. It is open every Tuesday between 1pm and 3pm. This is a new page for parish news. Do you have a news item you’d like displayed here? Email details to hello@ashvillages.org.uk and we’ll include it if we can. Elections for the Parish Council and for the new East Suffolk Council are scheduled for Thursday 2nd May. 7am to 10pm in Somerleyton Village Hall. There were less candidates than vacancies for the Parish Council so all candidates are elected. See the notice here. There are 4 candidates for the single vacancy for the East Suffolk Council and the details are here. 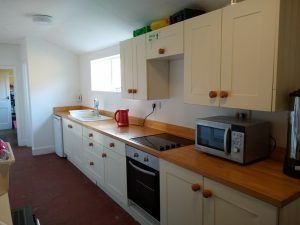 Over the February half term a band of volunteers cleared the village hall kitchen, removed all the old units, remade the exterior wall, installed replacement units and then moved everything back in. A tremendous effort in such a short time. Well done everyone! 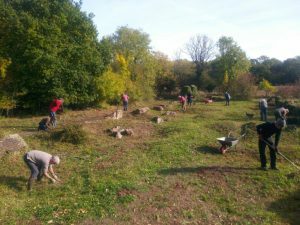 Every year we cut down this year’s growth and remove the cuttings from the site as this maintains an environment which encourages the wild flowers. This year 11 volunteers had an enjoyable hour or so in the sunshine.